PennsylvAsia: ScottyCon 2019: anime, cosplay, esports convention at CMU, March 30. ScottyCon 2019: anime, cosplay, esports convention at CMU, March 30. 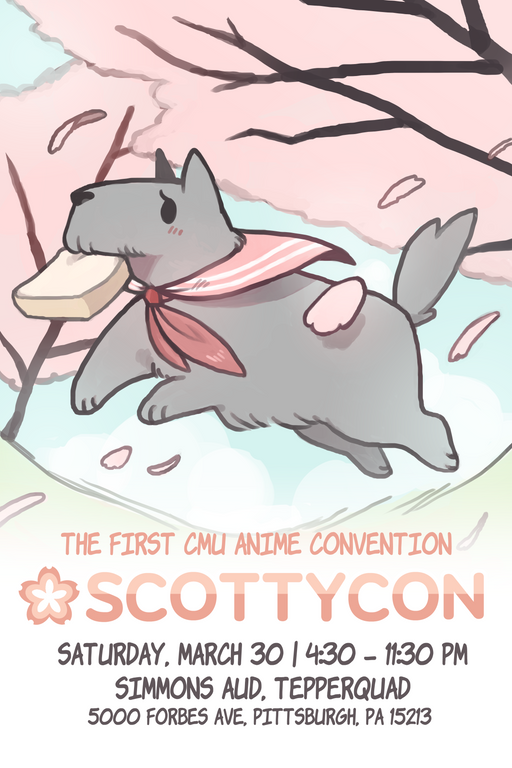 CMU Cosplay at Carnegie Mellon University will present its first ScottyCon on March 30. Come out to CMU's first ever ScottyCon, a collaborative event between Cosplay@CMU, Arists Alley Club, CMU E-Sports, and Vermillion Anime Club reminiscent of an anime/video game convention! There will be crafts, video games, and anime screenings, as well as booths for talented CMU artists from whom you can buy merchandise. Throughout the night, we will also be hosting tournaments for various video games, as well as trivia games and raffles. Join us for a night of games, food, and fun on March 30th, 2019. It runs from 4:30 to 11:30 pm at Simmons Auditorium at Tepper Quad (map).